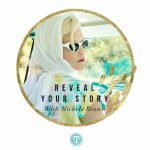 Reveal Your Story podcast is based on folks sharing their major life turning points - how they responded and steps they used to overcome and transform personal challenges. Teaching Life Story writing workshops for over 17 years, Michele has facilitated hundreds of 'Lessons Learned' and 'Conversation Life Story' small group discussions. 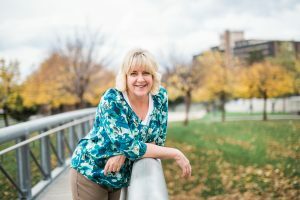 A previous member of the Association of Personal Historians, an active participant in local writers groups, teacher of 'Life Story Writing' at the University of Utah, Michele is both teacher and author. Actively creating material in various genres in addition to writing and producing "My Life Story" books for individual clients since 2002. In the early 1990's Michele self-published a household cleaning book that sold over 100,000 copies. She's written television scripts, corporate sales training programs, published a Well-Being magazine, short stories, poetry and worked as a Learning and Development director and Human Resource Professional @ Xerox Services. "Since early childhood I’ve been fascinated by listening to my parents and grandparents share their stories. I can remember sitting at the feet of my grandmother many times and asking her to repeat my favorite stories about her life. These stories always included some crossroads or serious dilemma looming in the background. I felt that her stories gave me another glimpse into the real woman my grandmother was and not just this older woman in front of me who’d grown tired and weary. She passed away before I was 12 years old and I can vividly recall these moments of sitting with her and listening intently as she shared her stories. As I grew into adulthood it was natural for me to draw out stories from strangers who would often tell me “I’ve never told anyone that before”. My passion and interest in listening to people tell their story has continued through the years. In 2002 I began conducting 'Write Your Life Story' workshops and working with individuals to record their stories. Contemplating writing an entire life story can feel overwhelming. I specialize in coaching my clients to write specific stories that support their Life Theme and not necessarily a long history from birth to present day." People are stuck in self-defeating behaviors and beliefs for decades AND THEY DON’T SEE IT. They share things REPEATEDLY in their stories that reveal to me what's going on - the conclusions they’ve made about themselves EARLY IN THEIR LIVES that linger in the stories they speak and write. Last year I had a client who was nearly 70 ask me if I could help her stop caring about what other people think when they judge and criticize her. Fifteen years ago, while writing a life story for a woman in her 90s, she repeatedly told me about the pain she felt when thinking about how her mother never held and nurtured her. I could go on and on with examples. The point is, If you don’t recognize the inaccurate stories you tell yourself, you can’t change and rewrite them from a more authentic perspective. We cannot clearly see the misinterpretations and inaccurate conclusions we’ve made about out own stories. These are the stories that can keep us stuck in repeating negative patterns and unhealthy beliefs. No matter who you are or what you’ve achieved, EVERYONE does this to some degree. Although most do it unknowingly. In 2017, I developed “Self-Discovery Writing Mentorship” a 12 month writing mentorship where you can discover more about you and your life influencers. This mentorship is designed to support you in building a foundation for a more authentic and powerful story as you write. Within a few short months, members are experiencing one ‘ah ha’ after another by using the L.I.F.E.™ Process - Following the success path with the original self-discovery prompts AND 12 Essential Elements in their writing. One of the best parts of this mentorship is our monthly group call, “The Circle of Influence” where I share excerpts of students writing. By highlighting writing that reveals ‘ah ha’s’ and moments of clarity and greater understanding, this is a beneficial time for all participants to see and learn more about the steps to greater awareness and personal power through following this process. Self-Discovery Writing Mentorship is a unique writing process to peel back the layers and reveal the truth of YOU. This is what I have been looking for. I’ve been waiting for the time to begin. I just retired and will be 65 in December. I almost feel that it is too late. Still hoping to write and to learn, What’s the next step? I just want to tell you how much I appreciate how well you made your presentation!!! It is excellent and to the point. It was a little slow at first, but when you got to the meat, you plowed through this in a way that I have not seen done in probably 95% of online video courses that are out there. Thank you for resisting the need to pressure people into buying something immediately. Knowing you are out there in such an openly communicative way is a great asset! I am sure you are successful partly because you make people feel so comfortable. From your story, it appears to come from the kindness your grandmother showed to you. I am currently 177 pages into writing a book about my youth for my grandchildren primarily, but I feel that it has the potential to lean toward the interest of people who enjoy periodic family history. I am going through your website to glean what I can. I am currently signed up with Self Publishing School online. At some point, I will more than likely want to have a talk with you. I will check back soon.